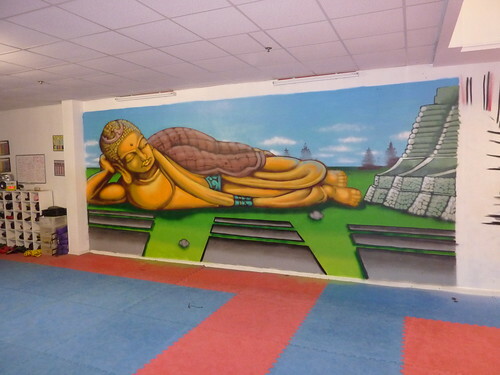 It seemed fitting to paint the Thai reclining budda in the Thai boxing gym and was well received and appreciated by instructors and students alike , especially those who remember it from the background of a famous arcade game. Round 1 , . . . Fight !